This is the first time I have recommended a video clip, but do check out Naomi Klein’s TED talk on the topic of Risk Addiction. In her talk she covers the BP Oil Spill and climate change, among other matters, and she asks what makes our culture to prone to reckless high-stakes gambles. Klein is the author of a book titled Shock Doctrine: The Rise of Disaster Capitalism (2008). See review of this book in JHSEM. 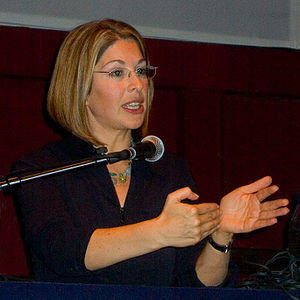 See an additional commentary on the same topic by Naomi Klein, available on CNN, dated Feb. 20, 2011. Glad you like it. It probably would be useful as a “guest lecture” for a course. This is a great video. Thanks for posting it.